Graphics interchange Format also known as GIFs are commonly used as short animated or natural videos for humor on all social media sites. GIFs are the most popular medium to connect with friends and family on all social media websites. From YouTube, FaceBook, WhatsApp to Instagram – GIFs are being used regressively. One of the main reasons why GIF became popular amidst this young generation is due to its amazing quality. And not to forget it is the best way to express emotions that we are unable to show through images or words. There is no surprise that there are countless GIF maker applications out there in the digital market. You can apparently create your own GIFs either from the videos captured just now or picked up from YouTube. These applications aid you to create a GIF for yourself as share it with the world. How cool is that! Today we are here to discuss the top 5 GIF maker applications for Android, iPhone and PC. So let’s dig in deep. GIF edit maker video is the ultimate destination for Android users. It can facilitate you with unbelievable stuff. You can create your own GIFs through short videos picked up from YouTube or any other video sites, videos created by your camera and much more. The application comes with basic editing tools like video cropping, rearranging frames, different filters and sharing the GIFs with friends over social media sites. And still you are not satisfied with the features then you can also add photos between the videos to create something new. Not only these users can edit the existing GIFs by themselves. GIF Me! The camera allows you to create your own latest GIFs containing videos and still images. You can put an amazing number of filters, textual captions, stickers, borders and frames. It provides you a slot of 14 seconds max, you can create anything but only for 14 seconds. Users can extensively control the video speed, convert still images into a full-length video. GIF Me Camera also enables you to create stop motion and time-lapse videos for a good fun time. GIF Me Camera is much more fun than any other application you can think of! GifLab allows you to get solid looking GIFS on a beautiful and impactful user interface. 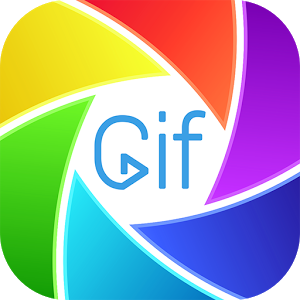 GifLab enables you to create GIFs of around 15 seconds max with unlimited features to count on. You can trim the video with an easy timeline slider, change parameters such as quality as well as you can control the animation speed. There is a pretty collection of fonts, filters, stickers and frames. Your GIFs are going to be saved in your gallery from where you can indeed share the video on different social media sites like WhatsApp, Hike, Instagram, FaceBook, Twitter, SnapChat and whatnot! Live GIF is what you need on your iPhone. Live photos is not a new concept for iPhone users, Live GIF allows you to turn your live photos into impressive GIFs instantly. You can easily make your phone turn into a high tech machine. Play with photos, video and live photos. It really with friends and family over social media websites. You can also use it while using facetime for PC. There is no doubt that GIF Animator is one of the best desktop application across the globe. It is a true powerhouse for creating GIFs from your personal photos and videos. Though, it is meant for professional usages like official emails, website banners and much more, well, who say they cannot be used for personal use. Technically it is going to make your work much more easier than before. It contains some high tech options to use like loop count, delay, compression, transparency and much more to count on. It definitely is going to blow your mind off with it’s inbuilt image editor and format source images. Indeed, one of the best ways to showcase your creativity to the world. We have provided you with some of the best GIF creating applications, they can really be a great aid to your creative mind. Let’s use them right away, they are quite impressive.